How to optimize Google shopping campaigns? 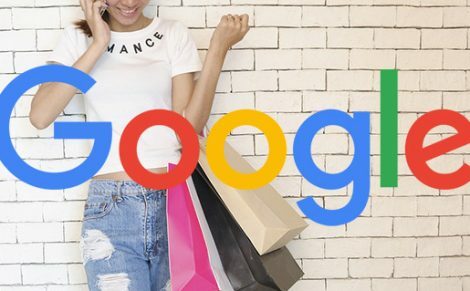 Google shopping campaign is a key part of a retailer business. A retailer use different ads for the advertisement of the product for the selling purpose. So there are campaigns to boot up the business and it is also important to optimize these campaigns. There are some techniques for the betterment of Google shopping campaigns. Clicking : “details” then “search term>All”. It is more preferable that to see queries with the use of “keyword” tab. There is also a filter for the poor performing terms. This filter can provide you the desired results. Establish when to exclude a query is subjective so it is important to analyze according to the goals of your account. You also focus on your funnels report. This report shows the keyword and campaign are working to provide conversion. A click on PLA may be first click but the user leave the site, click the brand’s ad and then come again to your site. You may not see the query but you watch the Google shopping help here. You can view the performance of the top brands by using “Brand” report by clicking “Dimensions” tab. As like the independent product you see the performance of each brand good or bad. If you sell stock you only want to bid on the some brand has high profit margin you so you eliminate everything from that group. It is a difficult work to optimize the feed but has good result in the long run. Google shopping campaigns can’t use keywords so Google extract most relevant items for shopping SERPs on the feed details. If you want to optimize only 1 item from your data feed then the title of your item is very help full for the Google to find index and return item according to the search queries. Google give you the opportunity to to describe your product features in 5,000 words. It is so long and some of the users read so click rate become low. So the length of the product description must be 500 to 1000 characters. The product image optimization include some questions: will the image of product take the shopper attention to see it more? Use good quality or high resolution photos. Use a clear or white background. Use of the angle at which your product features are highlighted. Use title tag and ALT image in the product image file. Google mostly use Global trade item code to check and identify the product globally.There are many different GTINs that are based on the product category and it’s type. Google will accepts just the following types of GTINs. UCP ( 12 digits ) that is used in North America. ITF-14 ( 14 digits ) it is used multipacks. EAN (13 digits ) used in Europe. ISBN ( 13 digits ) specificity used for books. You have to write information relevant to your product listing ads that enhance the chance to show your product to the target buyer search. When add a GTIN to the product listening you provide a way to the customer to identify your product. You can easily see the performance that which product is producing conversation and good reviews. You see the importance of the Google shopping campaigns and their optimization. These techniques are very help full. Like the standard search ads display campaign that are displayed and then forget it. These campaign continue and improving performance with the use of these tricks. nisi elit consequat ipsum sagittis.